Composer, director of Orchestra and Austrian pianist born on 7 July 1860 in Kalischt (Bohemia), and died on May 18, 1911 in Vienna. He was born in a Jewish family with limited financial resources. His childhood was spent in Iglau, Moravian population of German-speaking where had studied musicians of the stature of Jan Dussek and Bedrich Smetana. When he/she was six years old he/she began to play the piano and four years later, in 1870, he/she gave his first public recital. In 1875 he/she entered the Vienna Conservatory, institution that was formed until 1878. There he/she studied piano with J. Epstein, harmony with R. Fuchs and composition with Franz Krenn. Also in the Austrian capital, he/she made a close friendship with Anton Bruckner, who was a disciple. At the end of his musical studies at the Conservatory, he/she composed his first work, the cantata Das klagende Lied (song of lament), with a libretto by the own Mahler based on an ancient German legend. The work has greatly influenced by the operas of Weber and Wagner, and also outlines what will be the musical language mahlerian. 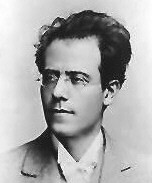 The young Mahler is also enrolled in various courses of history and philosophy at the University of Vienna, given his interest in the humanities. This interest led him to be a great reader of medieval stories as Tristan and Parsifal; also of the literary work of Hölderlin, Goethe, Dostoyevsky and Tolstoy, as well as Shakespeare, Racine and Calderon theatre. His philosophical readings covered from Plato to Fechner, passing by Spinoza, Schopenhauer and Nietzsche. In 1880, he/she left his studies at the University to start his career as a conductor at the theater's summer of Bad Hall. He/She soon obtained similar jobs in Proyecto'ace (1881), in the Moravian city of Olomouc (1883) and Kassel (1883-85). In this last town lived a sad love story with a singer, which is reflected in its cycle of songs Lieder eines fahrenden Gesellen (songs of a Wayfarer). In addition, he/she was in Kassel where he/she began the composition of a symphonic poem that later would become his first Symphony. In 1885 he/she moved to Prague and later to the German city of Leipzig, where he/she was Assistant to Arthur Nikisch and successfully managed the tetralogy the ring of the Nibelung. Completed in 1887 by Carl M. von Weber comic opera Die drei Pintos, which provided celebrity and economic success. That same year, thanks to the family Von Weber, he/she came into contact with the collection of folk poetry called Des Knaben Wunderhorn (the boy magic Horn), compiled and adapted by Achim von Arnim and Clemens Brentano. This collection appeared in 1808 as a poetic equivalent of the tales of the Brothers Grimm (see J. l. Grimm), and his enormous musical possibilities provided to Mahler a series of texts for their songs, in addition to inspiring his second and third symphonies. In addition, his friendship with the Weber led him to maintain a furtive affair with Marion von Weber, wife of the grandson of the famous composer. Due to disagreements with their coworkers in Leipzig in May 1888, Mahler quit his job and few months later charged with the direction of the Budapest Opera. In January 1889 he/she directed there two operas of Wagner's tetralogy: the gold of the Rhine and the Valkyrie, both sung in Hungarian for the first time. On November 20 of that year, despite the mood produced by the death of his parents and sister, he/she premiered his Symphony No. 1 "Titán". The work is presented as a symphonic poem divided into five movements. His last victory in Budapest came from the hand of the opera Don Giovanni by Mozart. In it, Mahler sought the authenticity of the original score and he/she was himself who accompanied the piano the recitatives from the orchestra pit. The composer Johannes Brahms, who attended one of the performances, was fascinated with the version proposed by Mahler and there began the friendship between the two. In 1891, the Géza count Zichy was named intendant of the Opera in Budapest and both his authoritarian behavior and their anti-Semitic prejudices caused Mahler decides to abandon his post in the Hungarian capital. In March of that same year, Mahler was conducting the Orchestra of the Hamburg Stadttheater, whose artistic director was Bernhard Pohl, known as Pollini. The two first successes of Mahler in the German city were their versions of Siegfried and Tannhäuser. Later came other operas such as Tristan and Isolde Eugeni Onegin of Tchaikovsky, who was impressed by the version that Mahler made his opera. His friendship with the director of Orchestra Hans von Bülow, who was in Hamburg working as resident director data also from that time. In the summer of 1893, Mahler withdrew to Austrian town of Steinbach, where he/she finished second and third symphonies. In February 1894, after the death of Hans von Bülow, Mahler took his post as director of the concerts of manure and this provided the implementation of their interpretive ideas in the field of symphonic music. The following year it harvested a great success in Berlin, with the premiere of his second Symphony, while ground staff suffered a serious blow after the suicide of his younger brother Otto. In February 1897, Mahler became to Catholicism to be eligible for the post of artistic director of the Imperial Opera in Vienna, where he/she remained for ten years despite being subjected to smear campaigns. His success in the operas of Wagner and Mozart interpretation made him to be considered a true specialist in the German repertoire. In April 1899 in Vienna premiered his second Symphony and that same year, despite suffering some health problems, he/she began to write his fourth Symphony, which was completed in 1900. The following year he/she had to be operated from their ailment (hemorrhoids), and spent the summer at his new home in Maiernigg. There, he/she composed three of the four Kindertotenlieder, as well as four Ruckertlieder and part of the Fifth Symphony. In 1902, his life took a major turn after marrying one woman twenty years younger than he: Alma Schindler, daughter of Austrian painter Emil Schindler and student of the composer Alexander von Zemlinsky. With her he/she had two daughters: María, born in 1902, and Anna, who came into the world two years later. The friendship of the young soul with artists linked to the Sezession Stil allowed to Mahler contact with the designer Alfred Roller, whom he/she hired in 1903 for operatic scenography. In 1907, and after the death of his daughter Anna due to diphtheria, Mahler made frequent trips to New York to direct operas at the Metropolitan Opera House of the American city. There on January 1, 1908 he/she debuted with Tristan und Isolde and continued directing operas by Wagner and Mozart, as well as Fidelio by Beethoven with scenery based on designs from Alfred Roller. The following year he/she outlined his ninth Symphony and returned to New York to conduct the Philharmonic Orchestra of the city in programs that included works by Richard Strauss and Rachmaninov. In the summer of 1910 he/she began writing his tenth Symphony, which was left unfinished, and later, in autumn, triumphed in Munich with the eighth. At that time discovered that his wife Alma maintained relations with the architect Walter Gropius, future founder of the Bauhaus. The crisis that occurred in their marriage after this incident led to Mahler to the consultation of the psychiatrist Sigmund Freud. On May 18, 1911, due to bacterial endocarditis, Mahler died in Vienna and was heard in Grinzing cemetery. Mahler's work is a clear expression of German modernism associated with the figure of Richard Strauss. Initially, his music was considered eccentric, although later the power and expressiveness that his work has turned Mahler into a composer revered by the audience and performers alike. In their language we find influences of Beethoven, Schubert, Bruckner traits and, to a lesser extent, of Wagner, as well as aspects of the polyphony of Bach, of the folklores of Bohemia, Austria and Germany and reminiscent of dances, chorus and fanfares. Considered one of the most relevant of the end of bourgeois society composers, Mahler had no disciples but greatly influenced contemporary composers such as Prokofiev and Shostakovich. Mahler is one of the finest orchestrators of the history of music: orchestral color of his compositions is always at the service of the overall idea of the work. Its romantic and resigned life concept prints to your music a high search for the ideal. Everyday life was determined by the sordid thoughts and narrow customs and, in opposition, was looking for another world to which their music was new expressions, such as the fanfare of the fourth movement of the first Symphony, the rotation of a coral of the fifth movement of the second Symphony or evocations of sounds lyrical as in the third and fourth movement of the song of the Earth (1907-1908). His first Symphony, named "Titán", was named by the novel by Jean Paul (see Jean Paul Richter) who liked so much Mahler, as well as by the coincidence with the Titanic role of the hero whose painful experiences tells the mahlerian score. Composed at the time of her romance with Marion von Weber, this work is a recap of his life and work youth, but at the same time it is a prophetic summary of what will be his later work. His fourth Symphony closes a creative period in which Mahler particularly concerned to reconcile the Symphonic tradition with the folk song and the requirements of the drama. His symphonies No. 5, 6 and 7 are considered a trilogy and in them the appeal of the song that had been including in his earlier symphonies, although Mahler continued composing cycles of songs with Orchestra as the Kindertotenlieder, melancholy and poignant texts no longer appears. Again in his eighth Symphony, Mahler uses two texts: the medieval hymn Veni creator spiritus and the final scene of Faust by Goethe to show the relationship between the symbolic vision of human love and the power of redemption, as in an encounter between the word of latino Catholicism and German humanism of the depths. The eighth is the quintessential 20th century choral Symphony, as it was the ninth of Beethoven in the 19th, but is also a tribute to the music of Bach, given the frequent use of polyphony and contrapuntal textures. In his later works (the song of the Earth and the ninth and tenth symphonies), published after his death, Mahler showed his deep love to live in peace and enjoy nature, and expressed through the music his resignation at its close and inevitable death. -Das klagende Lied. Cast: M. DeYoung (mezzo-soprano), S. Leiferkus (baritone), T. Moser (tenor), San Francisco Sympony Chorus. Directors: Michael Steinberg, M. Tyson-Thomas. BMG/RCA VICTOR 68599. -Lieder Eines Fahrenden Gesellen. Cast: D. Fischer-Dieskau (baritone). Directors: W. Furtwängler, R. Kempe. EMI CLASSICS 67557. -Lieder und Gesang/Lieder Eines Fahrenden Gesellen. Cast: Dame Janet Baker (mezzosoprano), G. Parsons (piano). HYPERION 66100. -Symphony No. 1: -interpreters: Chicago Symphony Orchestra. Director: Georg Solti. UNI/LONDON CLASSICS 11731-performers: Chicago Symphony Orchestra, Wiener Phiharmoniker. Director: Claudio Abbado. DEUTSCHE GRAMMOPHONE 445 565 2. -Symphony No. 2 (+ Das Lied von der Erde).Performers: Berlin Arts Academy Chamber Choir, Vienna Symphony Orchestra, E. Cavelti (mezzo-soprano), A. Dermota (tenor), Ilona Steingruber (soprano). Director: Otto Klemperer. VOX LEGENDS 5521. -Symphony No. 3 (+ 8 Lieder aus Des Knaben Wunderhorn). Performers: City of Birmingham Symphony Orchestra, Birgit Remmert, Simon Keenlyside. Director: Simon Rattle. EMI 556657 2. -Symphony No. 4. Performers: The Angeles Philharmonic Orchestra, Barbara Hendricks (soprano). Director: Esa - Pekka Salonen. SONY CLASSICS 48380. -Symphony No. 5: -performers: Orchestra of the Leipzig Gewandhaus. Director: Václav Neumann (1966). PHILIPS-performers: Berliner Philharmoniker. Director: Claudio Abbado. DEUTSCHE GRAMMOPHON 437 789 2. -Symphony No. 6/Ruckert Lieder/Kindertotenlieder. Cast: C. Ludwig (mezzo-soprano), Berlin Philharmonic Orchestra. Director: Herbert von Karajan. DEUTSCHE GRAMMOPHON 457716. -Symphony No. 7 / Kindertotenlieder. Performers: Jessye Norman (soprano); Boston Symphony Orchestra. Director: Seiji Ozawa. UNI/PHILIPS 26249.-Symphony No. 8 ("Symphony of the thousand") - performers: Amsterdam Collegium Musicum, Amsterdam Concertgebouw Orchestra, Jo Juda (violin), Kees De Wijs (organ). Director: Bernard Haitink. UNI/PHILIPS 46195.-performers: Wiener Philharmoniker, Wiener Singverein, M. Price, H. Prey. Director: Leonard Bernstein. DEUTSCHE GRAMMOPHON 435 102 2. -Symphony No. 9: -interpreters: Berliner Philharmoniker. Director: Sir John Barbirolli. EMI 763115 2.-performers: Concertgebouworkest Amsterdam. Director: Leonard Bernstein. DEUTSCHE GRAMMOPHON 419 208 2. -Symphony No. 10. Performers: Bournemouth Symphony Orchestra. Director: Simon Rattle (1980). EMI. GONZÁLEZ CASANOVA, j.: Mahler: song of return, Barcelona: Ariel, 1995. MAHLER, Alma: My life, Barcelona: Tusquets, 1986. SMOLEY, Lewis M.: Gustav Mahler´s Symphonies, Greenwood Pub. Group. WALTER, Bruno: Gustav Mahler, Madrid: Editorial Alianza, 1998.
http://www.netaxs.com/~jgreshes/mahler; series of pages selected on various aspects of the composer Gustav Mahler. In English. http://www.linefeed.co.uk/mahler/discussmain.html; Forum for discussion about Mahler.